To what extent is research on development issues done by researchers in developing countries? To what extent do those researchers actually decide what research needs doing and what questions need asking? And if developing country researchers do decide, to what extent do they do so in collaboration with the people who might ultimately have a use for that knowledge ? These aren’t new questions, but they re-emerged for me recently in a series of studies we commissioned of research and knowledge systems in Somalia and Somaliland, Liberia and South Sudan. And they’re echoed in a series of essays on the ethics and politics of knowledge production in fragile states. It’s a well-worn maxim that appropriate solutions require local knowledge. Yet although this is well recognized, it often seems to be missing when research is commissioned and funded. As Nick Perkins writes, even where impact is given prominence, we’re often taking the wrong approach. How much control do southern researchers have? One of the problems that universities and research institutes face is that their researchers don’t get many opportunities to develop their own questions. 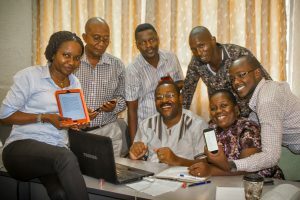 Frequently contracted by donors, or by foreign academics as part of collaborative projects, researchers in the South can too-often end up as data-gathers or survey implementers, with the conceptual questions and the final analysis done by others. In many cases academics teach at university, but pursue research as freelance consultants. And often it’s the same locally based researchers — the go-to people for every piece of work. The busiest researchers may then sub-contract to colleagues and students. There are some excellent centres of research scattered across Africa — either independent institutes, or university-based centres. But they often depend on money from abroad. 47% of Kenya’s research budget, 57% of Uganda’s, and a staggering 78% of Mozambique’s comes from foreign grants. Things are beginning to change. Accelerating Excellence Science in Africa (AESA) has seen big donors invest their money in a new African research fund, and the African Union has placed science — and the higher education system that is crucial to its development — at the heart of its Agenda 2063. A lack of local research funding, or real difficulties writing project proposals and funding applications that are enough to satisfy funder requirements, don’t just result in a lack of money to do research, they result in a fundamental lack of ownership. Research that asks somebody else’s questions is likely to lead to a mismatch between national development agendas and research which might support these. This is particularly evident in what Alex de Waal calls “difficult places” where the policies of the north are rarely attuned to how politics and society really function. It can also mean that the answers reflect the parsing of issues and experiences through a northern analytical lens, which misses important dimensions of a particular issue. Deval Desai and Rebecca Tapscott go further and suggest that this dominance over agendas means what counts — not only as good research, but as ‘acceptable’ findings or knowledge — is determined by the international system. So certain research results, from certain types of researchers, become more credible in the international development system. And despite the rhetoric of local ownership, that credibility sticks more to the standards set by the big donors and agencies. “Donor institutions play a crucial role in the production of research in Somalia. They set the agenda for research either by calling for consultancy work, building capacity to some extent in training the research assistants within universities, or through the programmes and NGOs they support.” (Faduma Abukar Mursal). Of course this isn’t only the case in ‘fragile’ or ‘conflict-affected’ states. Danny Wight’s exploration of health research in Uganda points to the problems of a consultancy culture, which results in a lack of leadership for research, and insufficient capacity to train the researchers of the future. As one interviewee tells him: “Most of our social scientists are not institution based… they are there for hire”. Similarly, Mahmood Mamdani, the Ugandan social scientist, laments the “NGO-ization of the university”, where researchers only know how to be consultants to donors, answering someone else’s questions but unable to formulate a problem statement of their own. 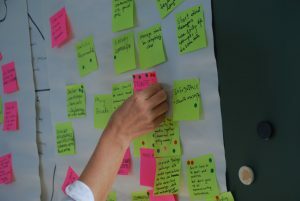 Of course, it’s not that consultancy work is bad per se — it can be an important means of connecting research to real policy and practical questions — but its short term nature can prevent researchers from developing the depth of expertise or methodological approaches that high quality academic work needs. For some who question the value of research for development, the problem isn’t that researchers aren’t doing enough academic work, it’s that they’re too academic, locked inside ivory towers. Research may be disconnected from the realities of the poor communities that their research is supposed to benefit. Or it may be of little use to policymakers making decisions in fast-moving, politically charged environments. There are plentiful stories of how researchers and policymakers rarely talk to each other. A perception that research isn’t much use when tackling real life issues means that, in turn, policymakers and practitioners are less likely to value it. As de Waal suggests, research may instead become something used selectively to buttress an argument, rather than as evidence to engage with. Policymakers do use research of course — but as our experience in our VakaYiko project has suggested, often it’s not research produced locally, and the evidence base isn’t built by their own civil servants but by consultants. This is a fundamental problem. As Louise Shaxon argues, “You can have the best evidence in the world, but if you put it through poor processes you won’t get good evidence informed policy making”. “Publish or perish”, the familiar mantra of academics in the North, is now frequently heard in the South. Academic careers are determined by publication — and typically this means publishing in academic journals. As repositories of peer-reviewed, academic knowledge, journals play an important — if changing — role in research. 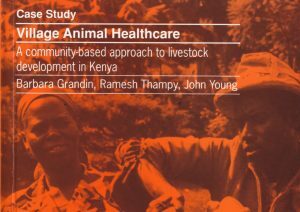 INASP supports this through the Journals Online and AuthorAID projects. But when progression is exclusively linked to academic publication, the incentives for research are skewed. It’s a particular problem when reward systems emphasize publication in ‘international journals’ (the titles indexed and ranked by northern publishers), which — keen to retain or improve their Impact Factors — want to publish work which is deemed theoretically interesting or of ‘global significance’. As a recent study showed,the top development journals are dominated by northern scholars. To develop a global research standing, you need to publish what the north deems to be interesting. Too often it’s only the most passionate and committed researchers who find the time and energy to devote to other ways of communicating their research, or engaging with communities. Important knowledge often circulates within an entirely academic conversation. While apparently contradictory — that research is too academic, or it isn’t academic enough — there is a common root to both of these problems. In both cases, the problem is that what gets done is explicitly or implicitly determined by external agendas and priorities, and by northern professional practices. This may be the setting of agendas and the design of projects by foreign donors or academics, or the setting of norms of what counts as good research by a still predominantly northern-led global research system. Much of the investment needed for African research will need to come from within the continent — whether public or private . The money required isn’t trivial: by one estimate Africa needs to invest US$2 billion as a continent each year. But international donors still have an important role to play, not least since they are powerful actors within an international system through which knowledge circulates and is valued. The UK has been an important investor in development research, and in the systems within developing country to strengthen the local generation of knowledge. Its new aid strategy places research firmly at the heart of efforts to tackle global challenges. It also expects that British universities will play an important role. Given the importance of local knowledge, developed and enabled by domestic research systems, it’s important that UK universities are working with and besides local institutions as they do this. Some British institutions already work hard to develop genuine Southern partnerships and to fostering alternative voices. The Institute for Development Studies, for example, emphasizes that to achieve what it calls ‘engaged excellence’, knowledge must be ‘co-constructed’ with local communities, researchers and policymakers. Of course there are reasons why donors and others seek their knowledge from researchers in the north — and in some cases why Southern governments do too. Southern research is often perceived to be lower quality — and in some cases this is true. But that will only be solved by serious investments in southern capacity. While foreign academics can bring much valued support, a strong domestic research base is vital. Without doubt, academic partnerships can do much to support Southern research — fostering connections to global research networks, and offering valuable mentoring and support. But the potential of research for development won’t be solved if Northern universities and academics are in the driving seat. This isn’t only about funding new research either. 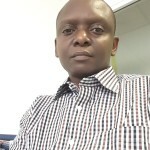 If we are to get beyond a system where wheels are regularly reinvented, as Jok Madut Jok notes, then we also need to do more than invest in single studies or projects. We need to invest in the capacity to collect, communicate, and synthesize existing knowledge, and to understand users’ needs, building the research and knowledge systems that allow this to be done. These are not easy questions to answer, or easy problems to solve. 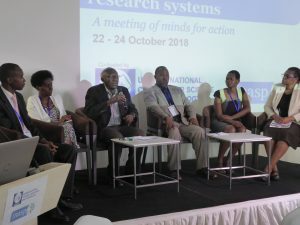 But they lie at the heart of INASP’s new strategy to put research and knowledge at the heart of development, working hand in hand with southern partners, and investing in the slow to build but critical, national systems to do this.